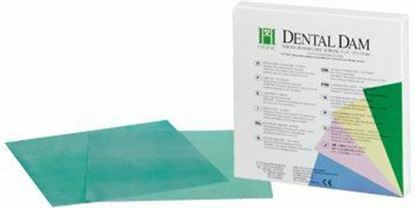 Extensive varieties of latex and non-latex rubber dam are available for effective tooth isolation during root canal, restorative, tooth whitening and other treatment procedures in your dental office. We also offer high quality dental dam clamps of different shapes and sizes sourced from leading dental manufacturing companies. Enhance the endo experience of your patients by using our quality assured rubber dams and accessories at great affordable prices. 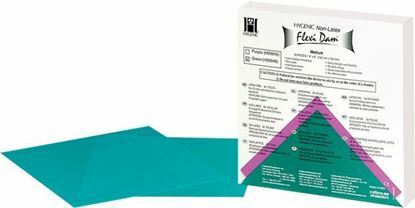 Hygienic Dental Dam application delivers a clear and isolated working field during restorative and endodontic procedures. 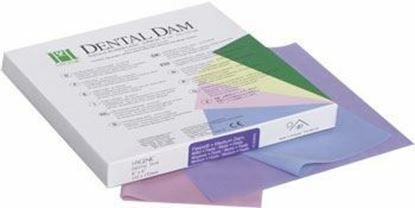 Non-latex, powder-free dental dam in medium thickness. Smooth (non-textured). 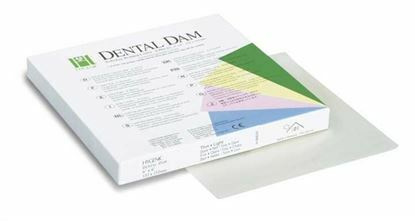 Natural rubber latex dam, fruit scented for greater patient comfort. Comes in an assortment of 3 pastel shades; purple, blue and pink. Each box of ready-cut sheets contains a total of 1 square yard. Thin has a .006" thickness; Medium has a .008" thickness; Heavy has a .010" thickness. 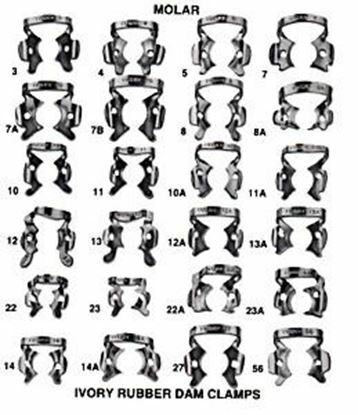 Ivory Rubber Dam Clamps offer great versatility in multitude of unique hand crafted designs and sizes to suit every clinical situation.